While I spend my days writing in my private studio in the Blue Ridge Mountains of Virginia–thank you, VCCA!–the publishing world carries on. Three events of note (to me) happened this week. My Creative Nonfiction piece “Three Hots and a Cot” is the third, and final, part of a trilogy I wrote about a different and difficult path of motherhood. The first two parts, “Sunday Visit” and “Cooperation” were published this past year. “Three Hots and a Cot” appeared on Monday, December 2, in the Winter/Spring 2014 issue of Lunch Ticket, the literary magazine from the MFA program at Antioch University, Los Angeles. Lunch Ticket’s focus is writing, art, and social justice. 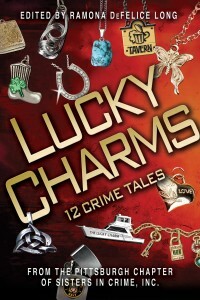 Second item of note is the launch of the anthology Lucky Charms, 12 Crime Tales by the Mary Roberts Rhinehart Pittsburgh Chapter of Sisters in Crime. I had the pleasure of editing the short stories in this collection, and working with a dozen talented, patient, and generous writers from western Pennsylvania. Finally, an out of the box story in a collection about the evil people who inhabit the world alongside the innocent–and not so innocent. 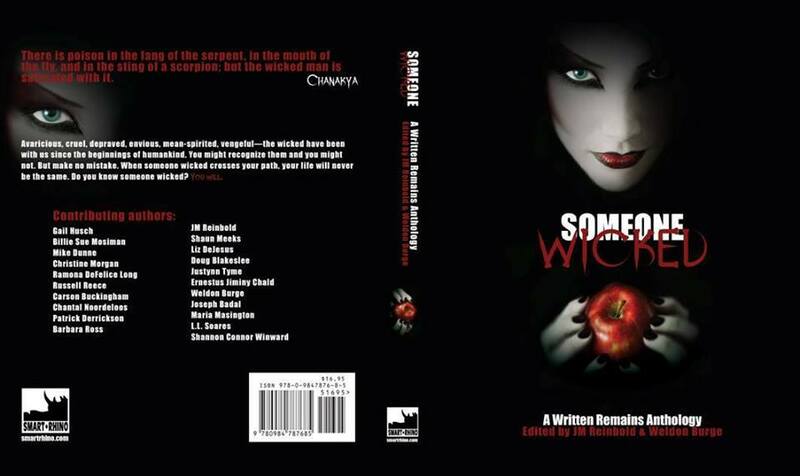 I had a good time stretching my writing wings to create “The Chances” which appeared last week in the anthology, Someone Wicked. The 21 contributors are members and friends of the Written Remains Writers Guild. It was edited by Weldon Burge and JM Reinbold, and published in November 2013 by Smart Rhino Publications. This entry was tagged Literary Mama, Lucky Charms anthology, Lunch Ticket, Mary Roberts Rinehart Pittsburgh Chapter of Sisters in Crime, Smart Rhino Publications, Someone Wicked, TOSKA. Bookmark the permalink. Sounds as if you had a terrific week, Ramona. Congratulations on all of your publications. Meanwhile, I’m revising, revising, etc. Elaine, writing is revising. Keep it up! OMG – 3 Hots and A Cot, I am crying – what a beautiful story about the underbelly of the motherhoods we are all promised in those baby magazines! Great work my friend! Thank you, Maria. I like your use of underbelly. Subtext, girl! Congrats Ramona and friends! Lots of hard work is paying off. Congratulations, Ramona! I look forward to reading your stories.